One of the best puzzle games is now finally available as an App, including brand new challenges. 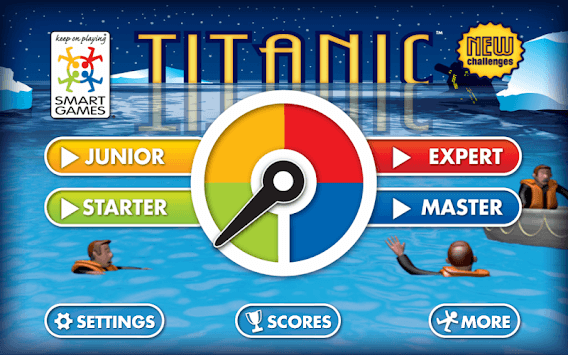 Launch the lifeboats, patrol the water and rescue all the passengers who've gone overboard! Titanic by SmartGames is a fascinating sliding puzzle with simple rules but with challenges that are surprisingly hard to solve. 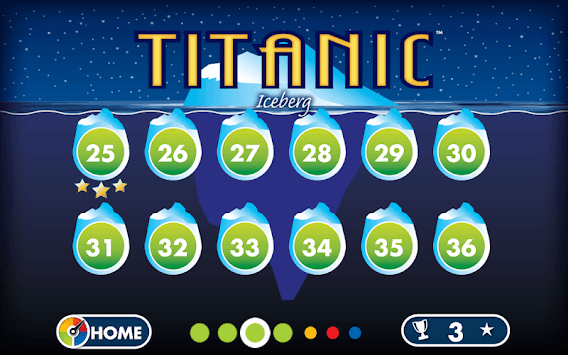 This App is based on the physical logic game "Titanic" from SmartGames and includes 21 new challenges for free. There is also a paid version of this app with 96 challenges and 4 levels of difficulty . Rescuing passengers starts out ‘easy,’ but becomes the more and more difficult, until players reach the ‘extreme’ level. 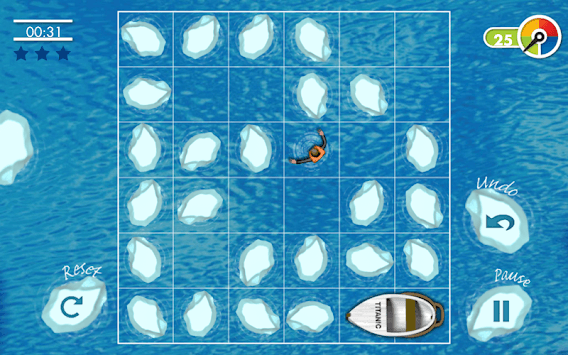 The original non-digital Titanic game was released in 2009 and comes with 6 lifeboats and 7 colored pawns for the passengers. The challenges are printed on challenge cards and remain visible through the “waves” of the 3D game board. All parts can be stored inside the game board. The original game has 48 challenges, all different from the challenges found in this App. Each challenge has only one possible end solution. If you like this App you will love the touch and feel of the original version too and vice versa. SmartGames is a leader in single player multi-level logic games that are sold all over the world. Currently there are more than 30 different SmartGames, each with different play patterns. Popular SmartGames include puzzles like Anti-Virus, RoadBlock, Penguins on Ice, Camelot JR, Hide & Seek and many others. These one-player thinking games have already won over 70 awards worldwide.